Amsterdam is known for museums, nightlife, parks, breweries & distilleries, and shopping. 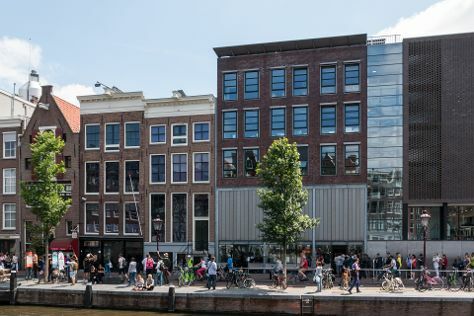 Your plan includes some of its best attractions: examine the collection at Anne Frank House, explore the world behind art at Rijksmuseum, contemplate the long history of Museum Het Rembrandthuis (Rembrandt House), and admire nature's wide array of creatures at ARTIS. To find where to stay, maps, photos, and more tourist information, go to the Amsterdam travel route app . Dehradun, India to Amsterdam is an approximately 18-hour flight. Traveling from Dehradun to Amsterdam, you'll gain 4 hours due to the time zone difference. In January, plan for daily highs up to 7°C, and evening lows to 1°C. Cap off your sightseeing on the 26th (Sat) early enough to catch the train to Rotterdam. 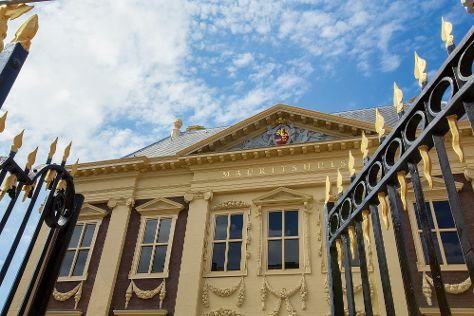 On the 27th (Sun), view the masterpieces at The Mauritshuis Royal Picture Gallery, then see the interesting displays at Museum Beelden aan Zee, then get a sense of history and politics at Binnenhof & Ridderzaal (Inner Court & Hall of the Knights), and finally enjoy breathtaking views from Euromast. Get ready for a full day of sightseeing on the 28th (Mon): laugh and play at Madurodam, then admire nature's wide array of creatures at Sea Life Scheveningen, then make a trip to Molen de Roos, and finally test your problem-solving skills at popular escape rooms. Plan my Rotterdam trip by asking Inpirock to come up with tips and suggestions. You can take a train from Amsterdam to Rotterdam in an hour. Another option is to drive. January in Rotterdam sees daily highs of 7°C and lows of 1°C at night. Wrap up your sightseeing on the 28th (Mon) early enough to travel back home.